The South west of Madagascar, a rich area and relatively interesting. Of exceptional curiosities are located in this part of the island. To better observe and contemplate the wonders of the city, it is essential to begin the journey of the capital, accompanied by the best guide knowing all the details and the corners of this segment.Several initiatives are also offer to all the visitors of the Southwest. This can be a descent in dugout canoe, a visit by car or hiking to embed all at the bottom of the enclaves. Visit the South west is to discover a new world, both surprising and mysterious. This area conceals a few tourism interests which are worth the roundabout and which do not show their real face that once integrated inside. 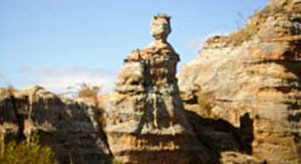 For example, the wealth of wildlife and plants located under the Tsingy of Bemaraha. There is also the ancestral legacies hidden in the mountains of Miandrivazo, which are only visible when a descent along the river of the Tsiribihina. If some wealth does not reveal themselves not, other is exhibit at the great day in the great pleasure of visiting tourists. Once your luggages down lay on the ground Malagasy, you start the adventure. This time, the first point of arrival is the city of water or Antsirabe with its world of life of the high plateaus but with a decor typically rustic. 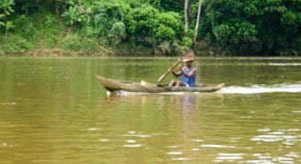 The second objective is to achieve Miandrivazo to achieve the descent in a dugout canoe along the river of the Tsiribihina. Of the amazing discoveries particulary this adventure, namely the natural swimming pool, aquatic birds, the local inhabitants, reptiles as well as the different lush landscapes. After the descent, you resume the car and you go to Belo and then Bekopaka, the capital of the Tsingy. Even if the visit of the Tsingy has already been fruitful, Morondava will be even more with the famous baobab trees and the Sunset not to miss. Before returning to the capital, you have the right to a small detour to Manakara by train. This second alternative is similar to the first except that you have more chance of discovering the smallest renforcy of the southwest to the help of the motor boat. After the visit of Antsirabe, you will be brought to Miandrivazo where you take the boat to discover the daily life of peoples and the landscapes that surround them, without forgetting the vegetation and animals endemic. Since it is hot in this part of the island, you get a free swim in the natural pool before you start in the adventure toward the Tsingy of Bemaraha, 15 km from the village of Bekopaka a visit big Tsingy. This time, the course is done on foot but more in a car or boat. To reach Morondava, you use a rental vehicle which paralleling the alley of the Baobab trees where you contamplate this famous Sunset in the middle of these sacred trees. This last alternative relates to the Journey of the capital to reach Morondava. Several stops will be observed, namely the City of Antsirabe accessible by the national road number 7. You continue on this road and you reach Miandrivazo or the canoe awaits you for along the river of the Tsiribihina. Following this adventure on canoe, you go on Morondava in passing by the Kirindy Forest. This curiosity is only available by choosing this option. 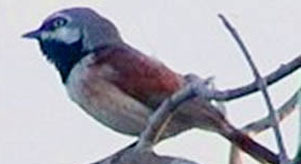 The Kirindy Forest You will disclose an interesting diversity of wildlife as the fossa, the birds and the different species of lemurs some of which leave only the night. A night tour will therefore be to the appointment. After Kirindy and Morondava, you take the plane in order to come to Antananarivo or Tuléar then return by car spot by spot till Capital. The roundabout on Manakara in train is also a feasible alternative to the end of the adventure.